Thermally Modified Wood Elements have been on our minds a lot these days. 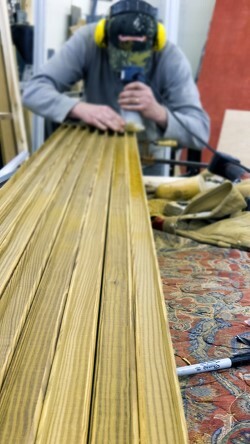 At Meteek & Co, we make many thermally modified wood elements, from lighting to doors to parklets! Randy visited with Ryan Arola of Arola Architecture Studio, where we created and installed gorgeous suspended light fixtures made of thermally modified wood. They talked about this ancient process which hearkens back to the Viking Era. It was used to harden spear handles and longship parts. Here it’s been used to create this intimate parklet located at First Street and 2nd Avenue West. Thermally Modified Wood Element designed by Ryan Arola, and built and installed by Meteek & Co. This is the first parklet for First Street. 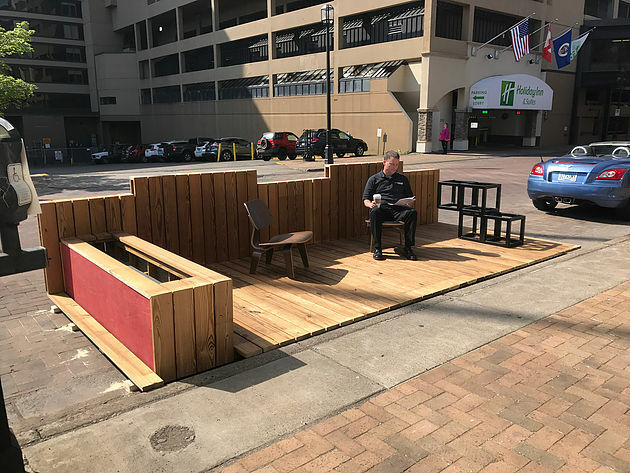 It’s a great place to sit and enjoy the activity of Downtown Duluth! 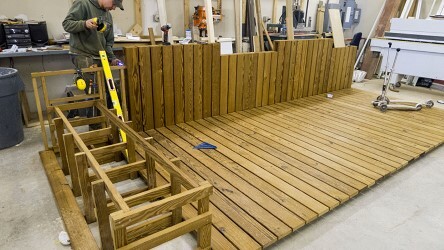 Construction of Thermally Modified Wood Parklet in our shop at Meteek. Constructing the suspended lighting fixtures for Arola Architectural Studio. Thermally modified wood’s naturally enhanced beauty, weather-resistance, and eco-friendly qualities make it a great choice for exterior projects, especially in our unpredictable environment. Its darkened and intensified wood grain, achieved through high-temperature treatment, makes it a beautiful option for interior use. You can check out a thermally modified wood entry light fixture at Joseph Nease Gallery at 23 W 1st St, Duluth. We built and installed the fixture there before the gallery opened in November of 2017. The new Kenwood Branch of Harbor Pointe Credit Union opened its doors in December of 2017. Prominently featured in the central space is this striking thermally modified wood element. 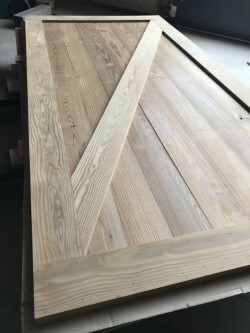 It is treated with Rubio Monocoat Oil Plus in Silver Grey which gives an understated, weathered look while beautifully highlighting and enhancing the dramatic wood grain. The dividers at the teller counter have this same treatment. 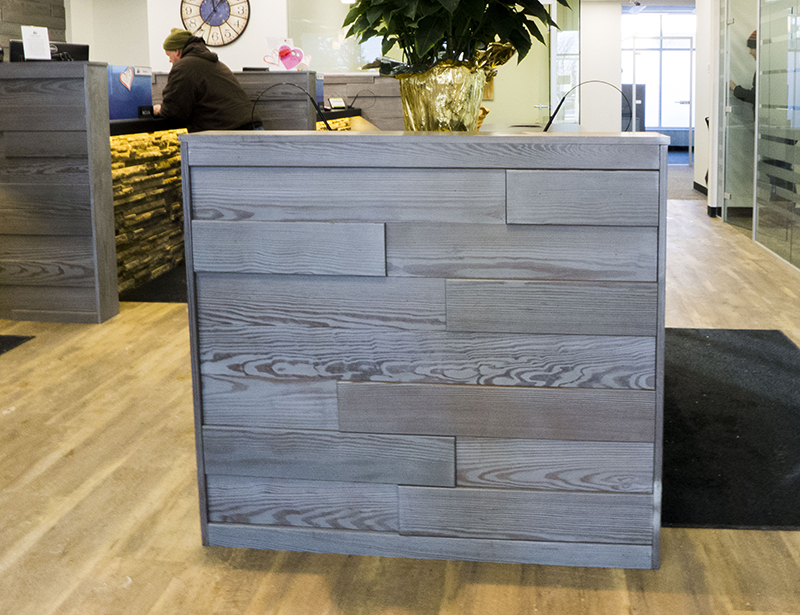 Thermally Modified Wood Element treated with Rubio Monocoat in Silver is a central feature at Harbor Pointe Credit Union in Kenwood. Thinking of a Remodeling Project? Think Thermally Modified Wood! 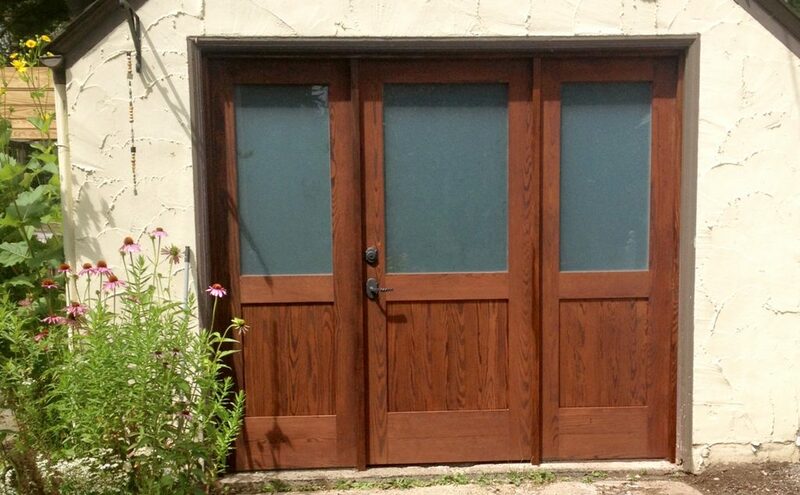 This stunning door graces the wall of a garage remodel project undertaken by Meteek. It is now the entrance to a lovely little studio and bike storage in a Duluth neighborhood. The addition of this thermally modified wood wall with door magically transforms the look and feel of this former garage. Thermally Modified Wood–a magical transformation from garage to charming studio and bike storage!